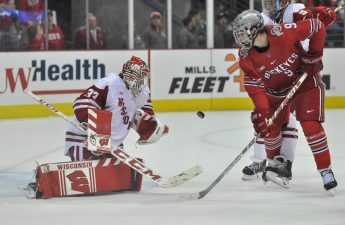 The University of Wisconsin men’s hockey team found success out East after winning against both No.13 Boston College and Merrimack. Wisconsin headed out to Massachusetts to prove that West Coast hockey was supreme to East Coast’s, and that West coast is still competitive. 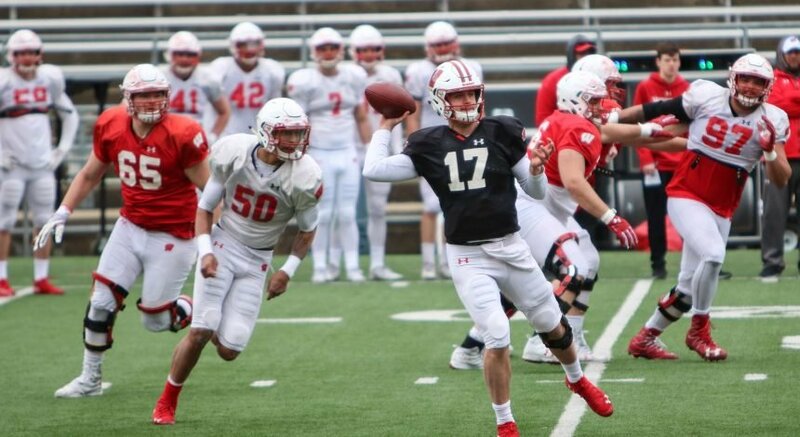 Friday’s competition showcased a top 25 battle between the No.12 Wisconsin and No.13 Boston College. 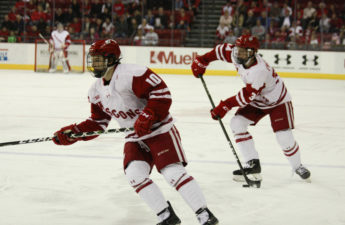 Wisconsin got the ball rolling on Friday when sophomore Trent Frederic lit the lamp up for Wisconsin, helping the Badgers pull away with a good lead. While Boston College would score a goal right after Frederic’s, the momentum that the Badgers had managed to gain from their first goal would be too strong for the Eagles to overcome. Wisconsin would score three goals by the time that the third period would roll around, Wisconsin would have tallied three more goals, bringing the score to 4-1. Boston College would manage to come back, bringing the score up to 4-2 before the Badgers would score the final goal of the game, bringing the score to 5-2. Wisconsin would then head to Merrimack, looking to bring their winning streak up to three games. Merrimack and Wisconsin have not had much history against one another, so both teams were going into this meeting relatively blind. Wisconsin had every tool that they needed to have a successful weekend, it was just a matter of how they went about using those tools. The Badgers were definitely a stronger team than Merrimack, and their most recent win gave them all of the confidence that they need to be successful away from the Kohl Center. Wisconsin and Merrimack remained neck in neck within the first thirty minutes of play, with both teams scoring a goal. However, this game would be determined by who would give the other team a chance to score, and that was what would cause Merrimack to lose. After giving the UW a well-timed penalty during the second period, Merrimack immediately went on the defensive, hoping to hold Wisconsin at bay for two gruesome minutes. 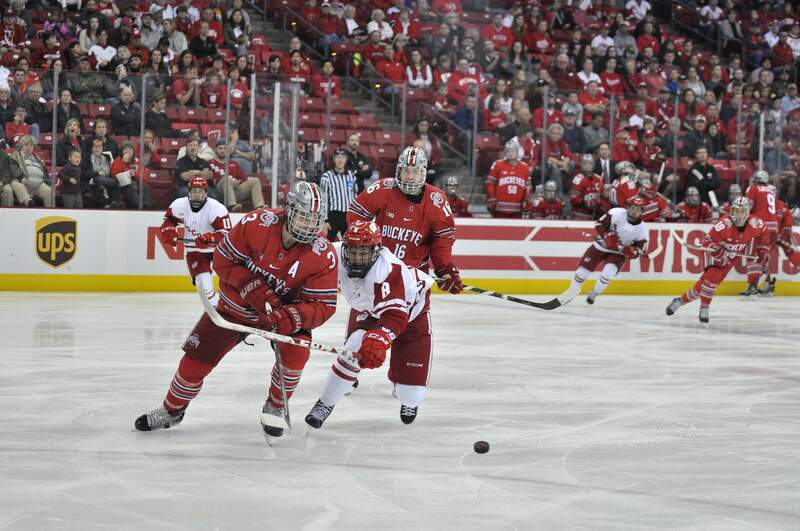 The Badgers managed to outsmart Merrimack and would score a crucial power play goal, effectively winning the game. From that point on, it would be Wisconsin that would continue to light up the lamp, and the Badgers would end the game with a final score of 4-1. Wisconsin’s impressive performance this past weekend would eventually allow for the Badgers to climb to No.6 in the national polls. Wisconsin heads to Green Bay next weekend to take on Northern Michigan during Friday and Saturday.